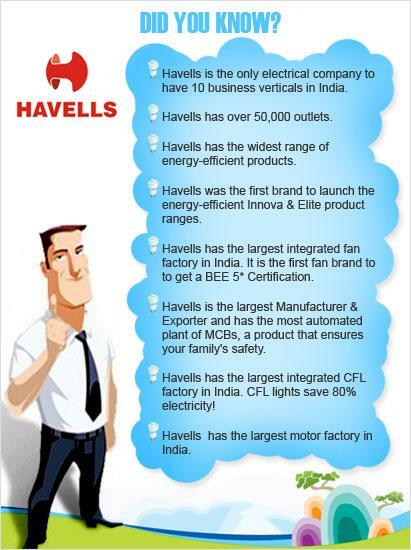 Havells is one name that is truly acclaimed! If you are thinking of shifting into your new home and need some quick guidance, you know where to come back to! Elex – Your Electricity Expert. Where is the showroom for light fittings in south Mumbai? Amazing!! !So excited to know this much about havells.Till now wasn’t aware of all these but will now surely have a glance at their products and get them to my home. Hey great to know about your interest in Havells!! check out our website: http://havells.com/ for more details. Hey thanks for appreciating Havells!! I WNAT TO BUY TOASTER. PL LET ME KNOW PRICE .